Many years of research into the history of the families Dupérouzel / Duperrouzel have been documented in book form by the author for the benefit of the extended family and future generations. The book launch took place at the Western Australian Maritime Museum, Fremantle, on 13th April 2003. 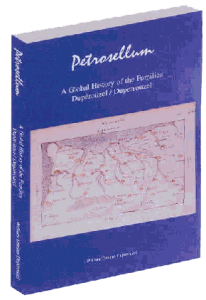 ‘Petrosellum A Global History of the Families Dupérouzel / Duperrouzel’ begins with a fascinating insight into the origin and meaning of the family name and follows the lives of forebears from the family’s earliest origins in Normandy, France until the late 20th century and covers the social and historical context in which these ancestors lived. The book is divided into two parts and comprises over 350 pages of text with hundreds of illustrations, documents, photographs, maps, charts and family letters. Part I covers the history of the family in France whilst Part II follows the lives of three members of the family who emigrated in the middle of the 19th century to Australia, Canada and England via the Channel Islands. Uncovered French records have enabled the lives of our ancestors to be brought to life from the end of the 16th century through to the latter part of the 20th century. They have also explained the mystery of how the two spellings of the name have come into existence. Discover also the social and economic circumstances that gave rise to three members of the family choosing to leave their native Normandy in the mid 19th century in search of a better life overseas. Petrosellum follows the fortunes of these particular individuals, their children and their grand children. There are also 7 family trees in the book to facilitate tracing forebears back to the 16th century France showing about 1500 names with connections in France, Jersey, Guernsey, England, Australia, Canada, United States of America, Haïti, Vietnam, Spain, Singapore and Jamaica.